For the second year in a row, the Colorado School of Mines topped the list of state colleges with the best return on investment. Alumni with bachelor's degrees from "Mines," as students and staff call it, make $866,200 more in the 20 years after graduation than if they had gone straight to work out of high school, even after accounting for the cost of their education. 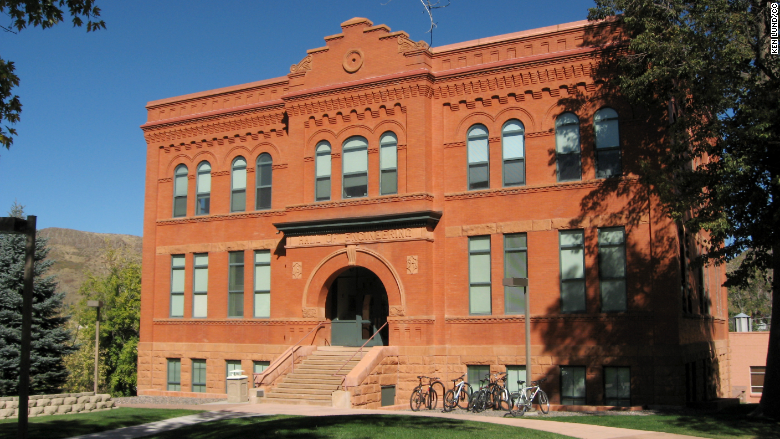 The research university, located in the city of Golden at the base of the Rocky Mountains, is focused on engineering and applied sciences, and has a specialized focus on geological and energy science. As of last year, over 90% of its graduated students are employed, said Jean Manning-Clark, director of the school's career center. "Their education is so relevant to the technical industries," said Manning-Clark. "They're stellar at what they do, and they're well-prepared." Based on employee survey data, PayScale calculated total median pay for a school's undergraduate alumni over a 20-year period and compared it to the median pay for a high school graduate over 24 years. The return on investment (ROI) in 2014 dollars was determined by taking the difference between those median pay figures and subtracting the in-state cost of attending the school in 2014 -- including tuition, room and board, and other costs -- and adjusting for scholarships and grants. The annualized ROI is calculated by dividing the earnings differential by the total cost and represents the percent of expected ROI received each year after graduation. Unlike in previous PayScale reports, the earnings differentials in this report do not take into account graduation rates. Alumni who attended graduate school or other higher education were excluded.